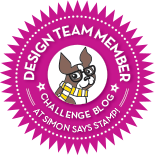 Have you ever participate in the Simon Says Stamp (SSS) Flickr Challenge? 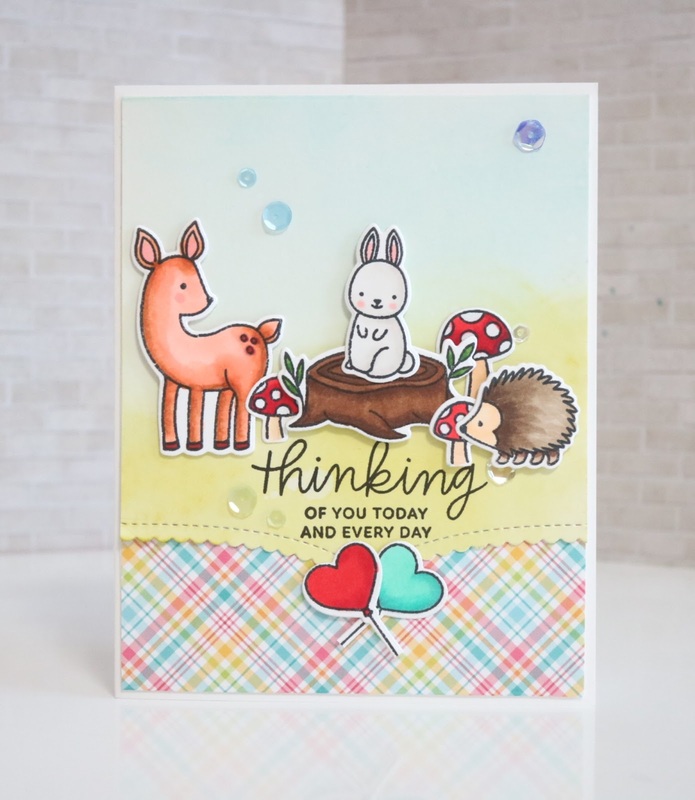 It's a fun craft challenge which is held every 2 weeks by Simon Says Stamp Flickr Group. 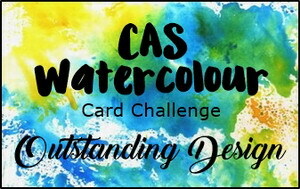 The challenge rules are simple, the themes are always very versatile, and there's higher chance to be randomly picked as a 25$ gift-voucher winner than other challenges ! 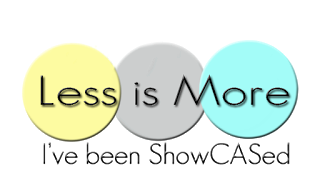 I'm honored to be a guest designer for the new SSS Flickr challenge #72 which starts today with a theme "Summer Fun". 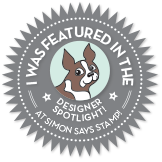 I'm very grateful to Simon Says Stamp Flickr Team and especially to Barbara Engler who is the host of SSS Flickr challenge for inviting me to be guest designing. That was a great experience for me since I'm only a beginner in card making. So, here are my cards. The theme for the new challenge #72 is "Summer Fun" . 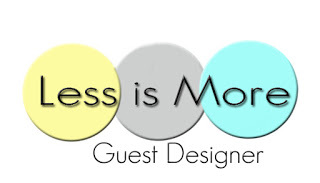 You can express anything that you like about summer in your craft work. 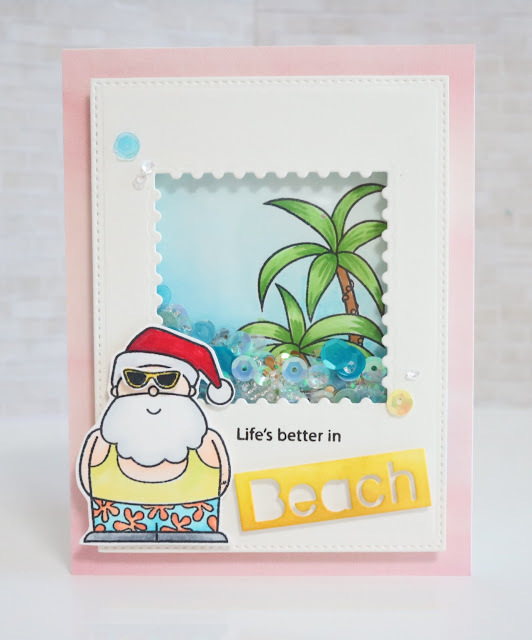 The Simon Says Stamp Exclusive Products that I used are 'Warm Christmas whishes' , 'One with Nature', 'Summer Happiness sets' , 'Postage Stamp Edge Frame Craft Dies' from Simon Says Stamp. The first one is a big frame shaker card. As my IG friends already know, I'm a big fan of shaker cards. I love the moment when I put lots of pretty sequins into a shaker. I first stamped a palm tree from "Warm Christmas Wishes" on a A2 size white cardstock and masked it with masking paper, then blended the background with Timholtz distress inks. I used salty ocean and tumbled glass for the sky, wild honey and scattered straw for sand. 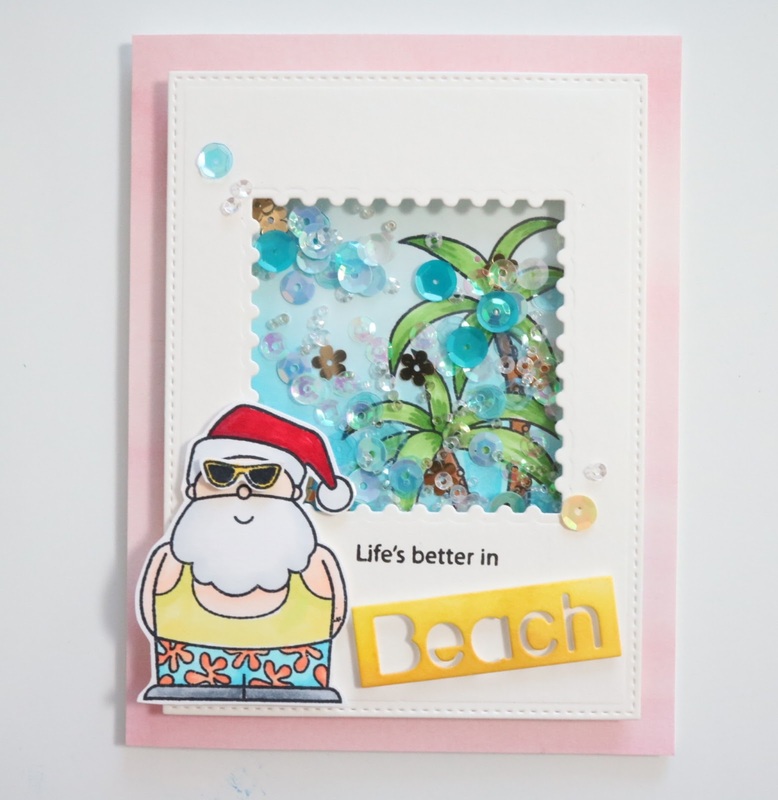 For the big frame of shaker card, I used MME's big frame die , sequins are products of The Tons. In the second card, I decided to make a smaller shaker. Background and Santa coloring is the same as the first one. 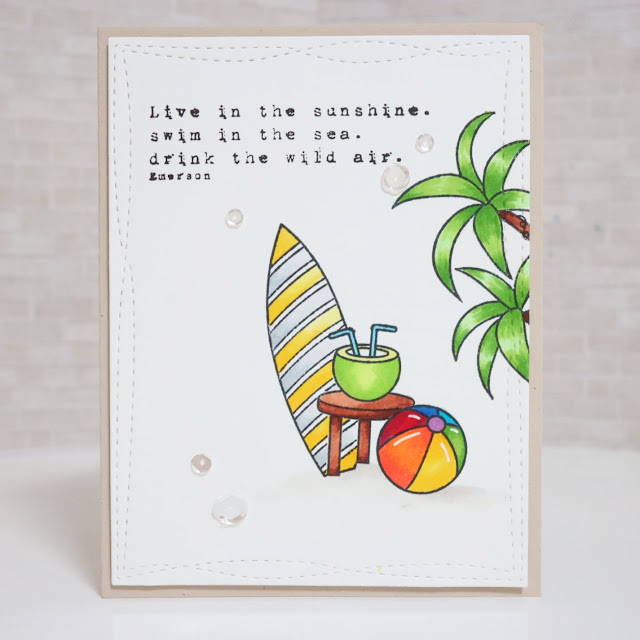 "Beach" die-cut was made using summer greetings wafer die and colored with distress ink 'wild honey' . Now, two shaker cards are done. 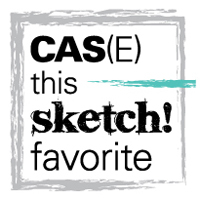 After finishing the shaker cards, I suddenly wanted to make aka CAS card. So I stamped the images of "Warm Christmas Wishes" again on a white card stock with masking technique when needed, and colored with copic markers. 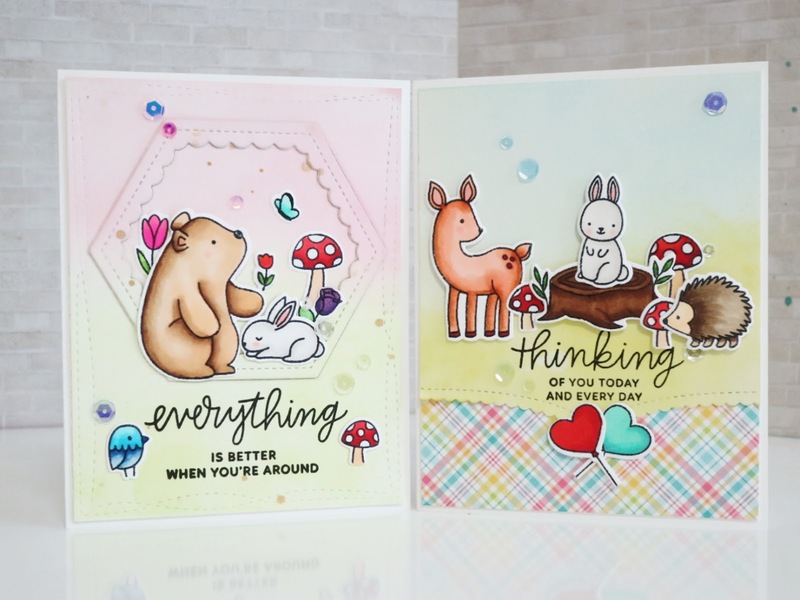 I stamped some sentiments from "One with Nature". Then I die-cut the panel with MFT's Wonky Stitched Rectangle and foam mounted it onto a Natural card stock . 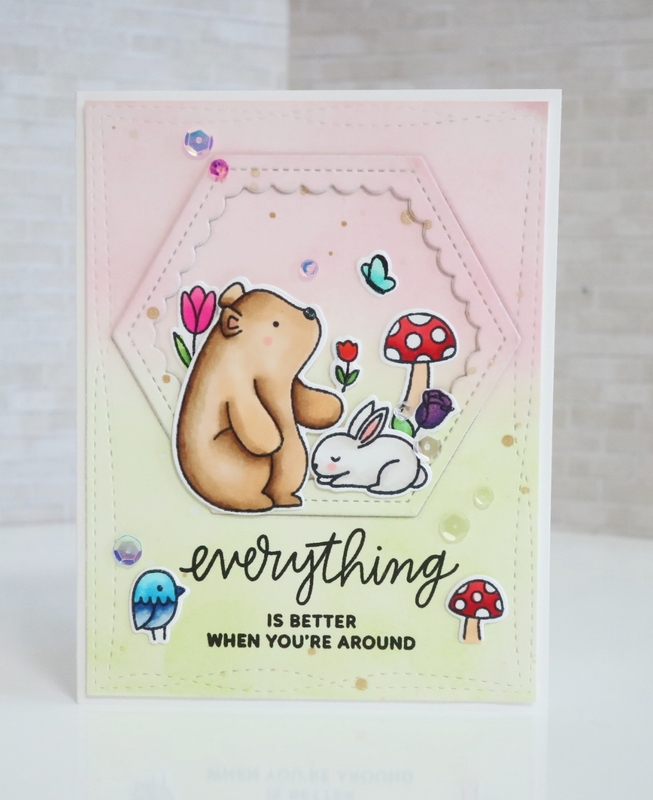 Finally I put some clear sparkling sequins from Pretty Pink Posh. I hope you enjoyed my cards and got a little bit of inspirations from them. And I hope to see you joining this gorgeous SSS Flickr challenge ! I'm sharing my fourth card made with the new release products from Pretty Pink Posh. 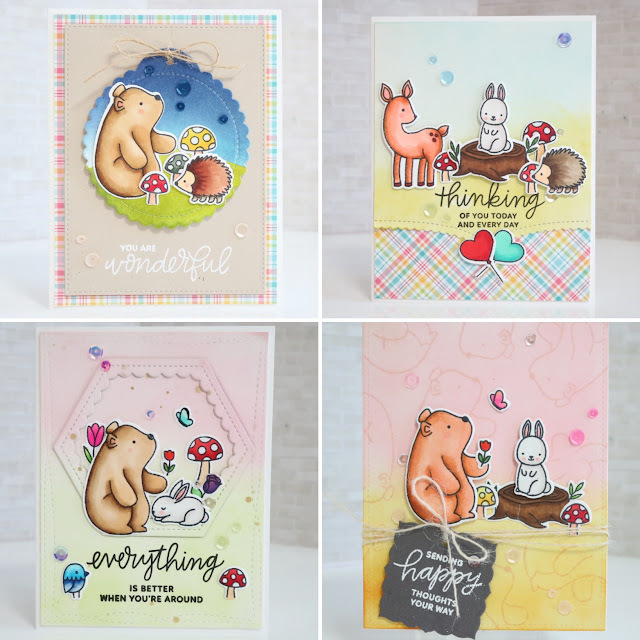 Main stamps sets I used are "woodland critters" and "thoughtful greetings" from PPP. First I die-cut a white cardstock paper with a scallp circle tags die and sponged it with Timholtz distress inks and blending tools. I used chipped sapphire, broken china, tumbled glass, twisted citron, and crushed olive colors. Then I put some previously colored images and navy sequins on the circle diecut. I also made a hole with EK success tool's punch and put a string through it and tied it. Then, I die cut a natural card stock from MFT with a stitched rectangle die, stamped a message with versamark ink and heat embossed it with white embossing powder. I also put some champagne sequins on it. 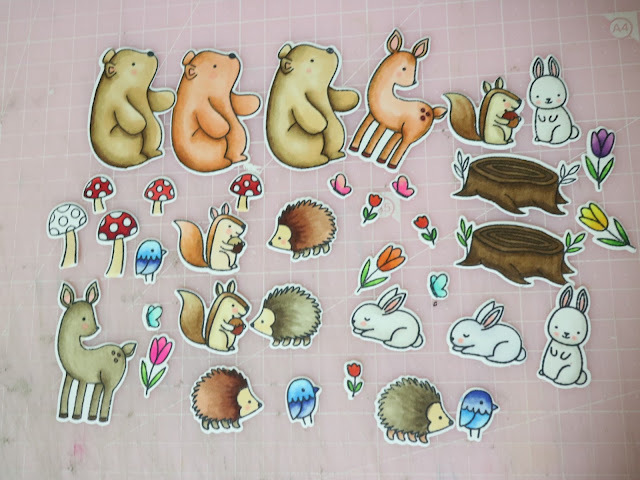 I adhered a sheet of lawn fawn's plaid pattern paper on a white cardstock, then put the rectangle die-cut with foam tapes to give some dimension, and finally placed the scalloped tags with foam tapes to give it more dimensional look. Actually this was my first step! 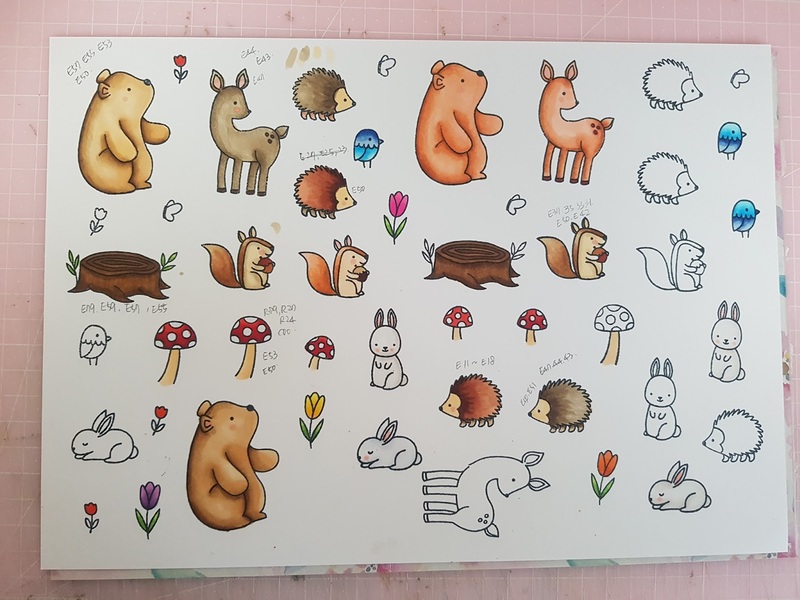 I wrote down the copic numbers near the images not to forget them . 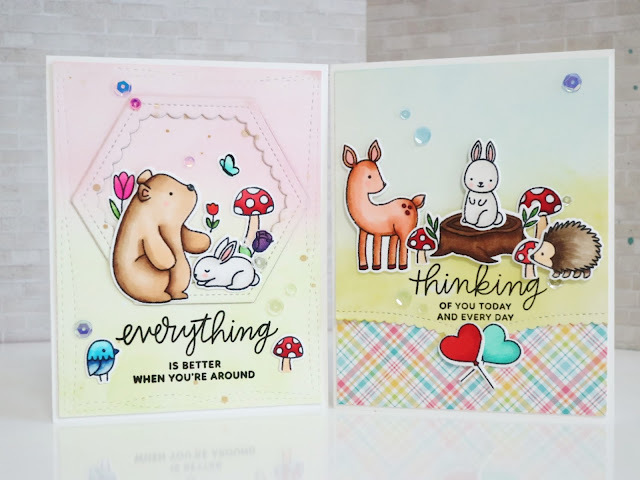 I'm sharing three more cards I had made before . My IG friends may have seen these already. 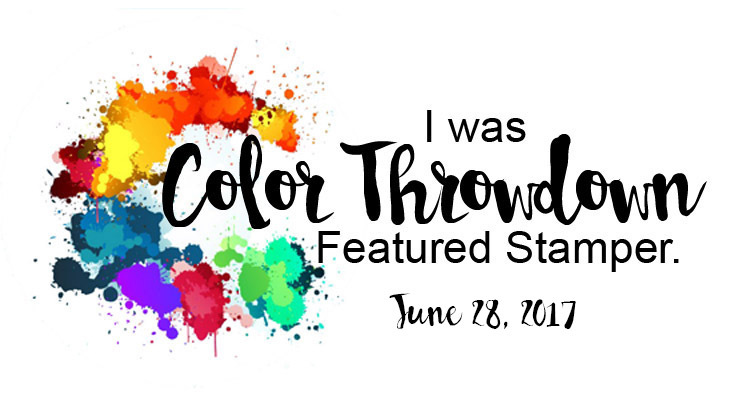 I usually used tumbled glass, crushed olive, or twisted citron, and spun sugar. 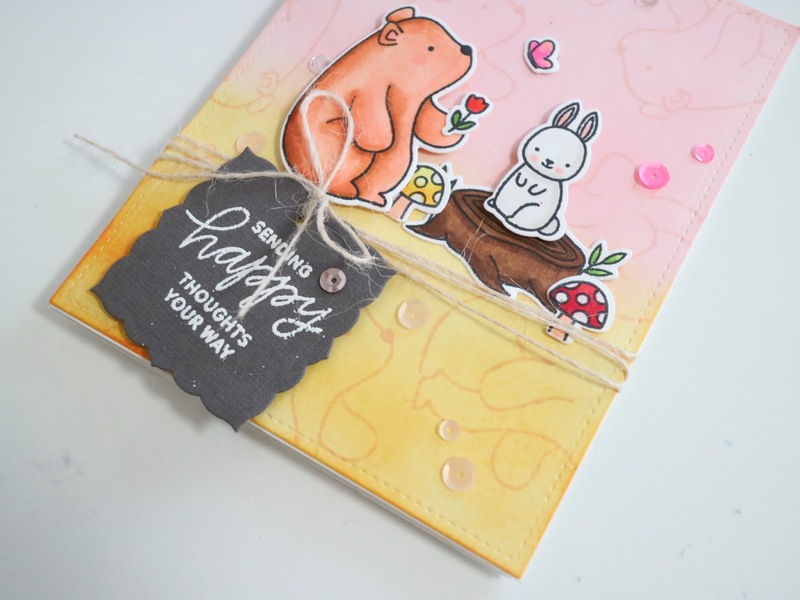 The tag die used here is from spellbinders. 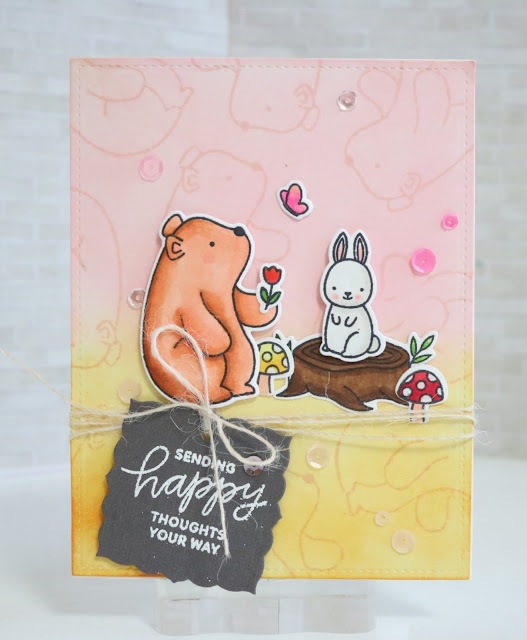 For background blending, I used distress inks spiced marmalade and spun sugar . For background bear stamping, I used distress ink tattered rose.